We are Support.We are I.T.We are helping save lives.We are the NHS. There are thousands of vacancies in the NHS for administrative, clerical, IT and digital roles across the UK. Make a difference. We are preparing the NHS for the 21st century, saving lives by making processes more efficient, connecting departments and doctors in an instant, and ensuring that data is accurate, up-to-date and protected. 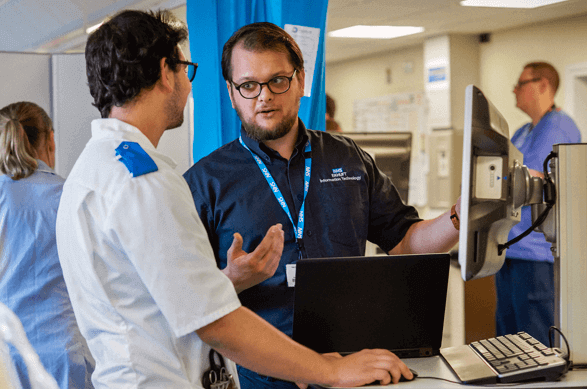 Working in IT and digital for the NHS gives you the chance to use your skills for something bigger and make a real difference to the lives of millions of people. 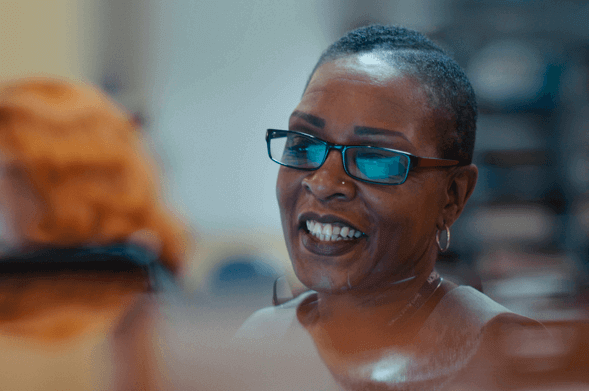 "My favourite part of the job is when I walk into a ward where I've helped to install devices and I know they're being used to help people get better." You don't need to be on a hospital ward to help save lives. Working in Support for the NHS means you're part of a huge, passionate administrative team dedicated to providing the best care and treatment to patients across the country. You'll be working for an employer that touches every section of society, which means there's a job for you no matter what your interests, skills or qualifications. "The best part of my job is that nothing is typical. I chose this role because I wanted to make a difference."